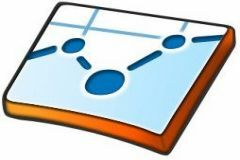 The spreadsheet component of Google Docs have some great functions that will help import web data into your online documents. 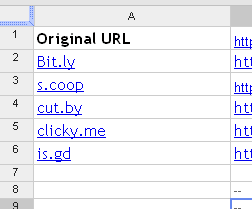 At LEBSEO, we wanted to create a spreadsheet where the user can input a Long Url and Google Docs will automatically parse these URLs into multiple short URLs. the ImportData Function is going to import exactly the results from the web to the spreadsheet and the concatenate function will use it to help us create the URL with a variable to execute the API query. So let me explain, here we added a function where Google docs will go and execute the query of bit.ly api usings our URL located in B1. and we requested the format of the response to be TXT. which will help us get only the Short URL without any additional data. By clicking enter, Google Docs with execute and provide you with the short URL. Hope you enjoyed this Small tip, if you have any questions please do Ask!. 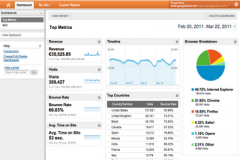 Integrate Rankings in your Google Analytics Report New Google Analytics Interface! 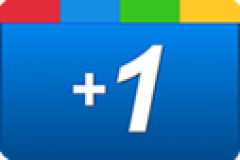 Google +1 Welcome to the Social “Liking” Game Which Semantic Markup Will You Choose? How about Google’s URL Shortener. Can you please write a code for that? I am not really a programmer, so it’s not of much help. I was looking for an easy way such as in this post. It seems Google doesn’t have one line code implementation similar to the other shorteners. This works really really good. something I have notice is that if you contatenate a utm parameters before shortening the url, bitly can work with the “&” so it breaks the url and don’t short it properly. Should I change the “TXT” for other element? The Bit.ly api accepts only URI encoded strings. 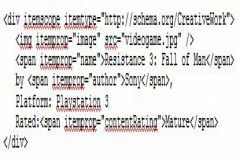 The “?”, “=” in the Google Analytics encoded URL therefore breaks it. If you find a quick converter, let us know! This works great. 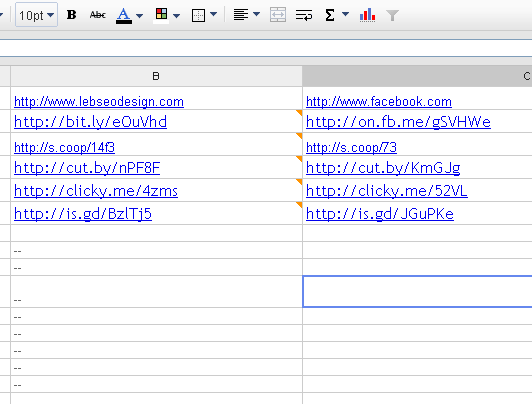 The only thing is the long url ends up being exposed l in the footnotes of the google spreadsheet. Anyway to avoid this? can you show me a screenshot of what is happening Kathleen ?